Every bowler's approach is different. We've designed our superior line of SST 4,5, and 6 professional bowling shoes with patented interchangeable heels and soles. The combination you choose depends on the move you need to make. Whether it's a little slide and lots of brake or a lot of slide and a little brake, Dexter's line of SST bowling shoes delivers the technique you need. Profile: For the "cranker" who wants the least amount of brake. 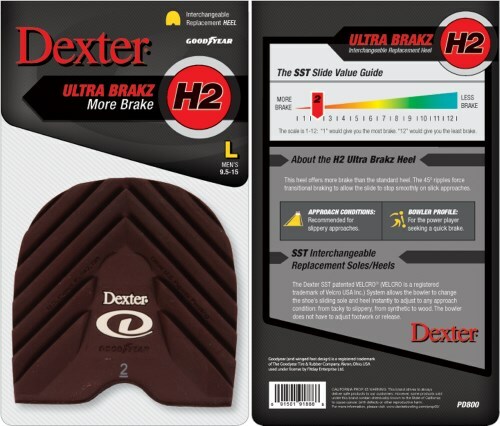 Due to the time it takes to produce the Dexter SST Ultra Brakz Heel Large (H2) ball it will ship in immediately. We cannot ship this ball outside the United States.